Washing machines have become essential gadgets in modern day life. Buying one not only allows you to save time and effort in washing clothes, you will earn the eternal gratitude of your household help/maid if you do employ one to do your laundry! Before you buy any appliance it is important to assess the utility, functionality and budget so that your need is well defined. Specific to washing machines, factors to consider are – the size of your laundry, frequency of usage, type of clothes, the available space, noise the machine makes etc to narrow your search. Energy and water saving is another important factor that impacts the total cost of ownership of the appliance. All of the modern washing machine features sound alluring. Too many choices leave you bewildered and utterly confused. 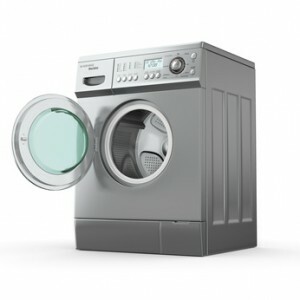 At conzumr.com, we provide you a comprehensive know-how of washing machines and the available models in the market; so you can buy a machine that best suits your needs, budget and lifestyle from your neighborhood store or online. Types of Washing Machines: Washing machines can be categorized based on loading into Front Loading and Top Loading machines. Top loaders can be additionally categorized by functionality into semi-automatic and fully automatic washing machines while only fully automatic front loaders are available in the market today. Each has its own advantages and disadvantages. So while choosing among the various types of washing machines, make sure you take your requirements into consideration. Semi Automatic Top Loader: A semi-automatic washing machine contains two tubs, one for washing and the other for drying. Once the wash cycle is complete , the clothes need to be taken out manually from the washing tub and put in the drying tub for drying. It is an entry-level machine and the cheapest. Fully Automatic: Just Load all your dirty laundry, set the program and leave the rest to the machine to do for you. The machine performs a series of tasks to accomplish washing and drying. You can choose a front loading or top loading. Fully automatic Top Loading Washing Machines Clothes are loaded from the top while in case of Fully Automatic Front Loading Washing Machines clothes are loaded through a door in the front of the machine. Front loaders have some of the most advanced features available in the market today. Decided to buy a fully automatic machine but confused between top loading and front loading? The comparison below will make it easy for you. Need to leave space for the door to swing. The clothes can be added/removed easily without the need bend. One has to bend and stoop while adding/removing clothes. Uncomfortable for senior citizens and user who have medical issues. Sleek Impressive design with glass door. Washing Machine Capacity: depends on the size of the washer’s tub. The capacity is the maximum load the machine can handle in one cycle. For best cleaning results, it is important that the laundry in the tub gets enough space to move around. Capacity in washing machine ranges from 4 Kg to 10Kg. Will you be using the machine to wash your heavy curtains, duvets and bedcovers ? If yes, a larger capacity is recommended. Washtub material: Washing machine tubs are made of either plastic, porcelain or stainless steel. Though expensive, durability of stainless steel tub is greater as it can withstand high temperature and spin speeds. Wash Programs: The machine performs three functions – Washing, Rinsing and Spinning in a wash cycle. The cycle you choose should depend on the type of fabric you are washing. The wash programs have preset water level, temperature and spin options. The program settings can be altered through a jog dial, touchpad, touchscreen or even remote control. You can also customize the setting and save as your favorites. Special Programs: There is a wide array of program settings to cater for the ease of use and comforts. Do not get carried away by these features. Will you actually use them? Modern day washing machines have various smart features like automatic dispensers, temperature controls, delay timers, auto restart, and much more to name them; but each comes with an added cost. Safety features: Stability while spinning, rodent protection, child lock, auto restart are some safety features which are available in many machines. Spin Cycle: Most machines come in the spin speed of 600-1800 rpm( revolutions per minute.) The higher the rpm, the drier your clothes will come out if it. However, this also depends on the fabric. Mind you, extra rpm will cost you extra bucks. Variable spin speed is preset in the wash cycle. It is favorable as it is fabric-specific and protects delicate fabrics from any damage. Size and frequency: Find the approximate weight of your laundry . If you wash loads daily, then advisable to buy a larger load capacity and use it once in three days as it will save you on your utility bills. Space available for installation: Measure the available space so that you can decide onto the dimensions of the machine. A front loading machine will need space for the door swing. Energy Efficiency: The average consumption of electricity and water in a wash cycle measures its efficiency. Bureau of Energy Efficiency (BEE) star ratings is a benchmark. The more the star rating, the more energy efficient is the appliance. After Sales services, Warranty: Do check for the availability of services in your locality. Installation: Make sure the machine should have easy access to Power Supply, water supply and drainage system. Additional features are alluring and tempting but come with added cost. Be sure that you will actually use them. The selection becomes tougher with every manufacturer coining a fancy jargon for smart features and claiming that their product is the best. Now, after reading this guide, you can walk into the store confidently and ask for what you exactly want without falling prey to a salesman’s influence. 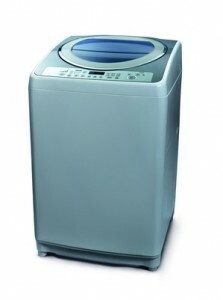 You can continue your Washing Machine reasearch at Conzumr.com. Happy Shopping! Next story Washing machine features dissected!